Hello everyone and happy 7th to you!!!! We love the 7th around here, why? Because it's our release day! That's why! And it's not just our release, but also a release for the Caffinated Cropper. Amy is releasing her new kit called Birds of a Feather, and guess what... there is not 1 but 2 PMS rubber stamps in there! And one of them is one you havent seen before! Ok, now let's celebrate! We're starting out the day with a blog hop! 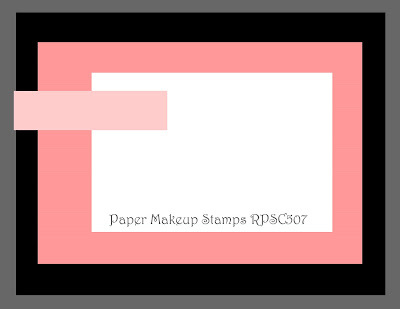 So get your coffee, latte, wine, or whatever you like to sip on while computer browsing and get ready for some awesome samples from the Paper Makeup Artists! But wait! Before you leave... here's some info for you today! After many requests, we've gone back to our release party challenges! We have 2 for you, and we're letting you know them now so you can get a little jumpstart on them! But dont worry, you still have until next Wednesday at midnight (EST) to complete them! But, if you have some time to play today, play away! And show them to us at the party! You might just be glad you did! There will be prizes with these challenges! Each challenge will win a voucher for $25 worth of stamps (not combinable with other vouchers). Challenge #1 is a sketch challenge! "with buttons and bows" challenge! Simple enough, use at least 1 button and 1 bow on your card! And now a little info about the party tonight! Every 7th, we have a "release party" that starts just as the stamps go live on the site at 8pm CST. We chat, we play games, we give stuff away, and we have a LOT of fun! Won't you join us! Party takes place in our FORUM! Now you can finally get on with the hop! Let's get the party started! Hop along to Tangii's blog! Thank you very much, my friend! I am so excited to see all your new releases tonight..I'm hoping I'll get home in time from my mom's night out to stop by the forum to chat! FUN! Going to start working my way through the hop :). Hope I make the release party tonight. Family health issues with my sister, but if I don't end up traveling in the next couple of hours I will be there!! !